If you’re looking for a reliable ride at an affordable price, check out the impressive inventory available at Chevy of Naperville – home of the best used cars in Illinois and the surrounding areas. Consumers located in the larger Chicagoland area should take full advantage of their proximity to Chevy of Naperville for all their used car shopping needs. But why? What makes Chevy of Naperville the best destination for used vehicles? It all starts with the customer service approach, founded on the belief that customers are the dealership’s “lifeblood.” When you shop at Chevy of Naperville, you do so with the confidence that you are a valued component to the overall operation. And when it comes to choices, you won’t find a more diverse collection of used vehicles anywhere else. Chevy of Naperville is keeping up with the changing used car industry, by putting customers first and the sale second. Take what you think you know, or have experienced, when shopping for used cars and forget all about it. Now, shopping for a used vehicle looks more like buying new. First of all, your choices aren’t limited the way they might have felt in the past. More importantly, your selection will be lemon-free. Start your search by visiting Chevy of Naperville’s website and take a look at the options that fall within certain categories like “Over 30 MPG,” or “Pre-owned Under 10K.” Refining your search this way is just one example of how easy the Chevy of Naperville team makes targeting the best used car for your driving needs and budget. You might even consider perusing the “Factory Pre-owned Collection,” which lists former GM lease, rental, and company vehicles. Each one boasts less than 37,000 miles on its odometer. If you see a vehicle from this collection that meets your used car requirements, simply alert the team and they will purchase the vehicle on your behalf and then sell it to you. It’s really a unique route not offered by other dealerships. These days, used car customers should expect more assurances and protections from their used car purchase than ever offered in the past, particularly if you elect to explore the certified pre-owned inventory. When you buy a certified pre-owned vehicle from Chevy of Naperville, you are getting the added protection of Chevy’s 6-Year or 100,000-Mile Powertrain Limited Warranty, which includes Roadside Assistance and Courtesy Transportation – 100% transferable with $0 deductible – along with Chevy’s 12-Month of 12,000-Mile Bumper-to-Bumper Limited Warranty. 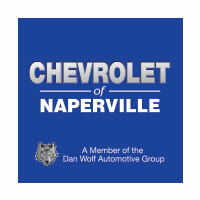 Chevy of Naperville boosts these protections even further, courtesy of their own Certified Pre-Owned Scheduled Maintenance Program, and fun perks like complimentary 3-Month subscriptions to Sirius XM Radio and safety benefits via OnStar. Can you recall a time when used car shopping offered so many options? Keep in mind that Chevy of Naperville is all about customizing each purchase to the unique needs of every individual customer, so your options likely exceed even those presented here. At Chevy of Naperville, the ultimate goal is customer satisfaction. Why even consider shopping anywhere else? Contact the team today and get one step closer to conquering the road in a used vehicle and shopping experience designed to exceed your expectations.